PAYING $1300 a day for an independent observer to accompany every live export voyage is about to become the new cost of doing business for all livestock exporters, as part of the Federal Government’s crackdown on the trade in response to the Awassi Express sheep welfare crisis earlier this year. Minister for Agriculture and Water Resources David Littleproud announced in April that an independent observer would accompany every voyage carrying sheep or cattle in a move to ensure compliance with animal welfare requirements. His department recently told Beef Central it has been working to implement that decision and has already placed observers on some high risk voyages. 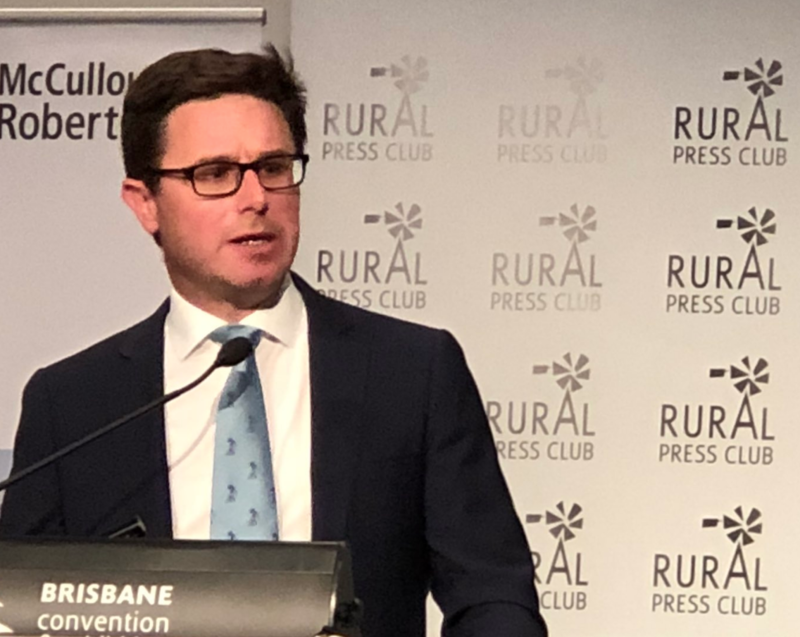 Speaking at a Rural Press Club of Queensland lunch last week Mr Littleproud said that from October 10, every livestock shipment that leaves Australia will be required to have an independent observer, with the cost to be borne by exporters. In addition to paying the $1300 per day cost for an independent observer, exporters say they have also been told they will have to pay for a business class ticket to fly the independent observer home to Australia after each journey. 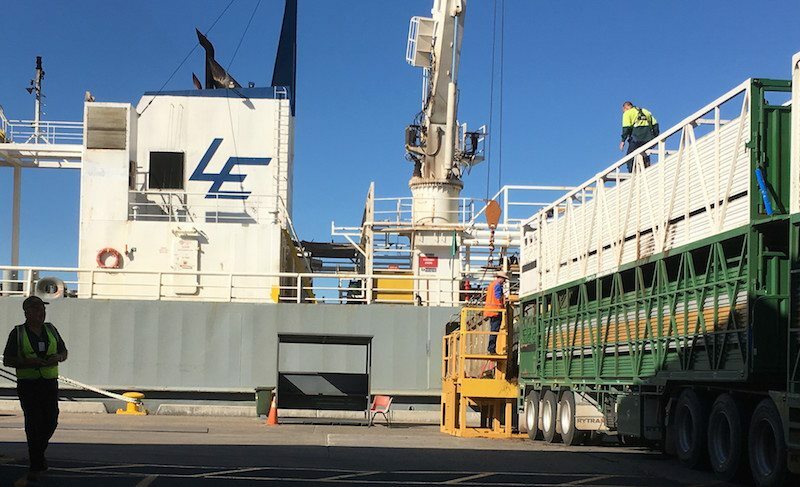 Last month the Northern Territory Government demanded the Federal Government abolish the plan, saying independent observers were unnecessary on short-haul voyages and the move would add unnecessary cost that would cripple the industry and kill jobs. NT minister for primary industry and resources Ken Vowles said the live export of cattle and buffalo was very different to the long-haul export of sheep and should not be punished for welfare breakdowns in that trade. “To slam our industry with costs for Independent Observers at this vital growth stage is madness,” he said. Mr Vowles said DAWR figures showed that between June and December last year, 369,114 cattle were shipped from North Australia. The mortality rate was 40, which is a percentage of 0.01 per cent. Mr Vowles’ comments have done nothing to shift Mr Littleproud from his stance. “I don’t want to have an incident in cattle live export like we did in the sheep,” the Minister told the Rural Press Club last Thursday. “We have to be proactive. “The NT Govt are into me at the moment saying it is going to cost too much money. “Let me put this in perspective: A cattle boat going to Indonesia is about 10 days to sail at the most. “(It costs) $1300 a day to put an independent observer on, so $15,000 to put a government observer on there taking photos, making sure we have truth and proof in this industry. He said the equivalent cost for a 23-day sheep voyage would be about $35,000. Mr Littleproud the cost of paying for an independent observer should be viewed as insurance for the livelihoods of farmers who rely on the trade. “Those farmers who I’ve sat around their kitchen tables only this week in Charter Towers who are scared out of their wits that this industry could fall over,” he said. Earlier this week the Minister said the government is preparing to pass legislation that will double penalties for livestock exporters who breach animal welfare requirements, and called on the Federal Labor to support the bill. Sorry Jennifer Mac Dougall. Repeat don’t ban long haulage voyages , prepare them correctly. Load them correctly and give them plenty of space ventilation and fiber. No different to feed lotting really, 90 to 180 days. Ban greedy exporters first!! Re Jennifer Macdonalds comment re long haul voyages. We took 17,499 head of Bos Taurus cattle, many pregnant, fro Portland to Russia, Novorosysk ,from start to finish about 35 days. 23 died. Horrific across the Bight and hot in Straits of Homuz. 6 aborted here. We had great managment and plenty of room. Ship could carry 23,000. Hence a great out come. It comes down to managment and space. Animals die of Cumulative Stress due to poor managment. Wake up exporters. No one mentions the problems of long haul cattle shipments which have seen hundreds of cattle die – to ship cattle right across the Pacific to Mexico, all the way to Russia, to Japan and China is high risk and is deemed so by the Department. And rightly so, you only have to look at the disasters that have occurred when cattle were exposed to heavy seas, or slipping and being injured. 155 on one ship, 165 on another, 107 average on each of six voyages to the Black Sea Port of Novorosyk – so why do commenters here not focus on this issue. Time to end long haul cattle shipments altogether. As DR Arnold pointed out earlier cattle exports and sheep exports cannot be compared. In the live export trade Brahman type cattle when exported under the Australian Standards for the Export of livestock ASEL ;appear hardier than sheep in general and ,the voyages are considerably shorter. The slowest ship on the run takes 6.10 days Darwin to Jakarta at 10.5 Kts. The faster ships are much quicker. Mortality rates for cattle are usually under one in one thousand. The minister while well meaning is not in touch with real cost sensitivity in this market. An extra $10,000 or so on a shipment of slaughter or feeder cattle is in my view would be a real stumbling block for importers and should be reconsidered. What no one is saying is the person who will ultimately pay is the producer, who can least afford it. Sounds like a very expensive photographer, or a waste of livestock exporters time food and board. David Littleproud is showing his credentials as an ex banker who knows nothing about the export industry by imposing these conditions on all exports regardless of their volume and track record.Long summer voyages to the Middle East with sheep verses ten days to Indonesia is a poor analogy. On a 3000 head vessel that is $5 per head which is just another unnecessary cost. The beef industry is just another source of funds for bureaucrats like the proposed $127 to be imposed by the State Government for renewal of PIC and Biosecurity Security registration beginning July first 2019. Cattle exporting and sheep exporting should not ever be seen as the same thing. $50 per hour for an experienced vet is a disgrace. Non qualified personal is a different pay structure and should be by industry and mutual negotiation. Rather than an independent observer why not a suitable Welfare person to supervise the total preparation,loading and voyage then sign off on each part and relieve the Exporter of the total blame from sectional breakdowns. The process must meet monitored welfare standards all the way through but in a coordinated fashion by experienced trained people, preferably vets. Check sheets are submitted during the process. An observer placed on a loaded vessel can’t do a thing. If the initial quality of the animal or fodder is bad to start with,then stop immediately,don’t continue to export. Also if all the preparation is ok and the ventilation on the ship is below standard don’t load this vessel. Welfare is paramount and very simple. Define “independent”. I’m available and willing to fly economy and work for $800 per day. Although I’m happy to see any measures that eat into exporters’ profits – even *I* think industry is justifiably miffed at a call for independent observers on short haul voyages carrying cattle, which typically have a 0% mortality rate. The Minister is correct. Independent observers are the appropriate response to this issue. Sometimes it is the minority which unfairly creates a burden for the majority, and this is one such case. Similarly it is sometimes the minority of ill-informed and biased commentators who attack those who are solving the problem rather than those who caused it, and this is also the case. Firing from the hip – just goes to show that Joe Ludwig is not the only clown in the circus. Where do these clowns get their ideas. Just because Ministers travel Business Class, oops First Class, they think everybody does. Money grows on trees for them. Congrats to Minister David Littleproud – Maybe the ideal opportunity for final year vet students to be involved in this initiative as the independent observers instead of a unskilled observers & business class flights.